Sneak an energy boosting pick-me-up into your after work routine at Poundfit's rockstar summer event. 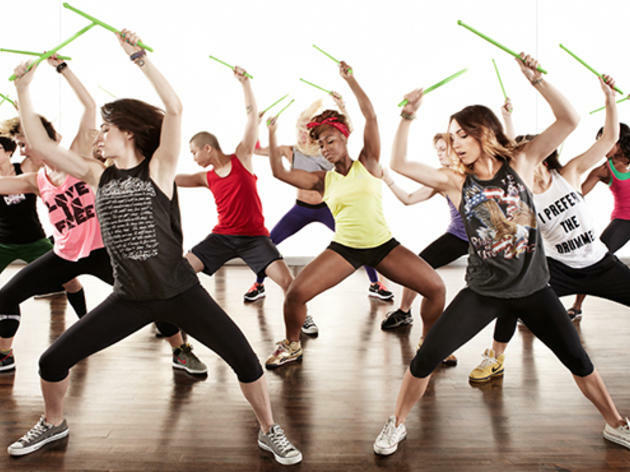 Pack your spandex, your ID and head to Santa Monica's boutique Momentum gym for a juiced up, 15-minute Pound workout class, (one of our only-in-LA workouts), underscored by a live drummer/DJ combo set. Reward yourself for the extra burned calories with a free cocktail, custom nail job and summery 'do at the Braid Bar. In less than an hour you'll leave the place energized, pampered and buzzed in more ways than one.